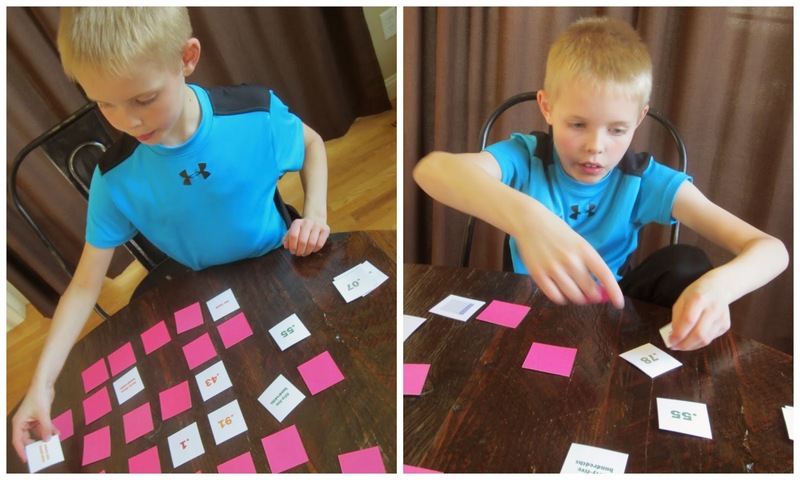 We played a fun decimals game this week with our 9-year-old. He's a whiz with numbers and this decimals challenge proved it. I made 10 sets of cards, each with three cards in the set: a numerical decimal, the words for how you'd say the decimal, and a grid depiction of the decimal. There are also two other cards: YOUR TURN IS OVER. To make all of these cards, print the free 2-page PDF, print on heavyweight cardstock and if you're concerned the cards are see-through, glue a sheet of colored paper to the back before cutting out. Discard the two blank cards. Download the cards from Google Drive here. Shuffle the cards and put them all face down on the table in a grid. It won't be even, but don't sweat it. Player one turns over three cards. They're trying to match a set of three. If any of the two cards are part of the same set (e.g. the two-tenths grid and .2), they can remain flipped over. Other cards should be turned back face-down. Player two now takes a turn, flipping over three other cards. If any one of the cards turned finishes a set already face up, they remove those three cards in the set from the playing area. If a player turns over the YOUR TURN IS OVER card, play moves to the next player immediately. This card is turned back over and remains. Play alternates between players, with more and more matched sets being completed. When the only two cards remaining are the YOUR TURN IS OVER cards, players can count their matched sets. The player with the most sets of three wins. 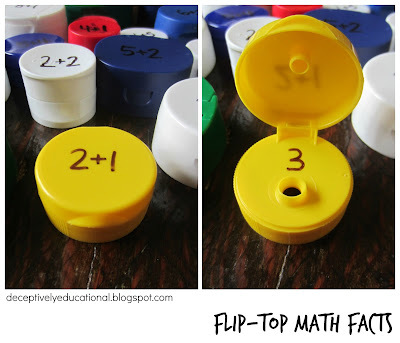 This game isn't for kids who are new to decimals, but for those who are familiar with decimals, it's a great way to review. 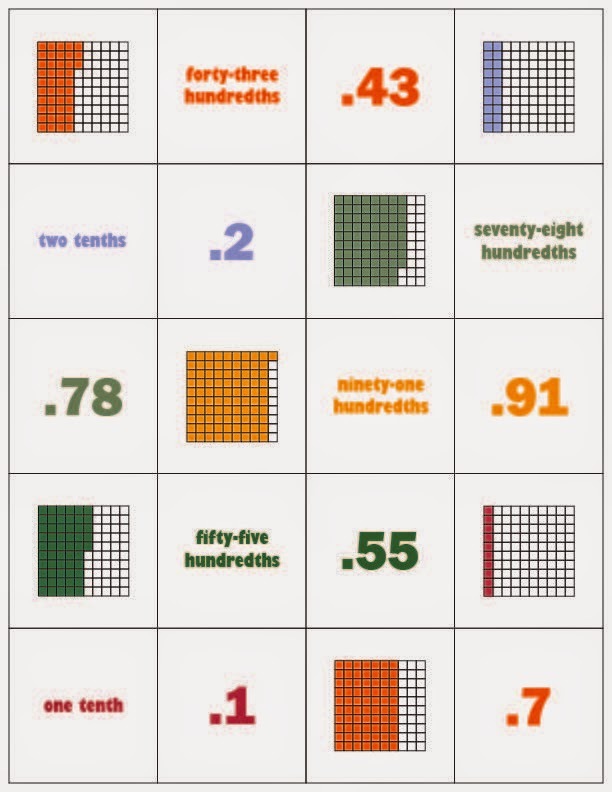 Not only do kids practice identifying decimals from a representative grid, but they also must understand place value, and know how to verbalize the decimal in word form. Love this game. 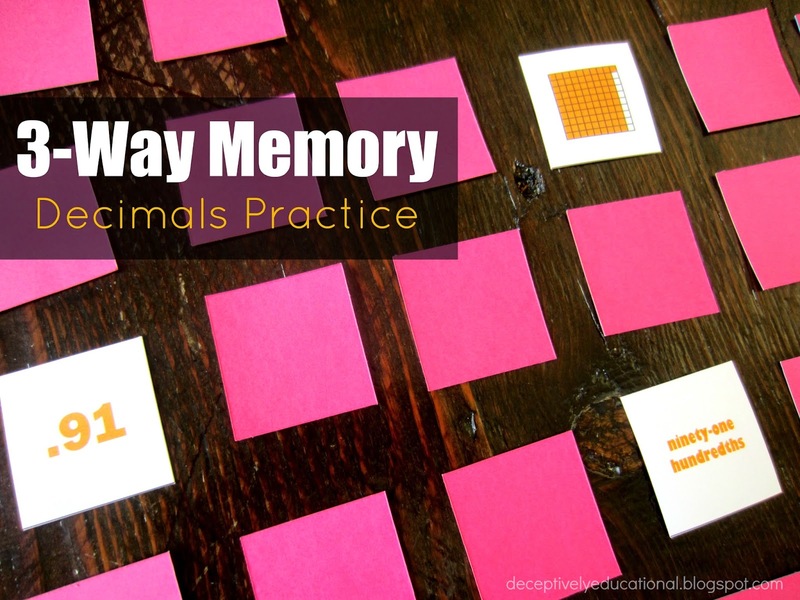 We love Memory games. I like that you are showing the decimal picture comparisons. Thanks so much, great way to review and have fun too! Julie C.